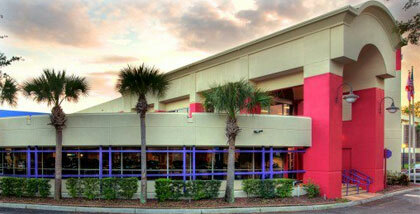 The Orlando YMCA first opened it’s doors in 1885 and has been a staple for the community ever since. The impact their programs have had on the youth and adults is unmeasurable and the importance of their presence cannot be stressed enough. The building, itself, located on Mills Avenue in the heart of Orlando, has been through numerous renovations as well as functional and cosmetic upgrades throughout it’s lifespan, including a $1.5 Million Dollar, 13,000 Suare Foot Expansion Project in June of 1995. On an ongoing basis, smaller repair and improvement projects are done each year. In the spring of 2013, Scott Foley the Facilities Director called upon Blueworks to look a little deeper at the Sanitary System in the building. The commitment to it’s patrons lends to the facility having long hours for convenience, the busiest times of day varying. This meant Blueworks and Management had to divise a plan to Inspect with a Sewer Camera, Clean and CIPP Pipe Line the Sewer System while remaining as unobtrusive as possible. Upon Internal Pipe Inspection with the Sewer Camera, Blueworks identified that the system was failing due to Sand and Scale build-up. The underground main line was the focus and it consisted of over 300 LF of 3”, 4”, 5” & 6” Cast Iron Plumbing Pipes and VCP Plumbing Pipes. The Sewer Jet Cleaning and Lining Process was executed overnight at the request of Management at the YMCA, allowing their patrons to use the facilities as usual during normal business hours. Due to the age of the building and the amount of daily traffic it sees, there were other issues in addition to the necessary Cleaning and CIPP Pipe Lining of the Main Sewer System. The Clean-Outs for the Sanitary System were weathered and some were buried under years of build-up. Blueworks also Excavated and Replaced all existing Clean-Outs as well as Vapor Tested the system to bring a conlusion to the Sewer Gas Problem the YMCA had for a period of time. Whether it be Cosmetic or Functional in purpose, partnering with the YMCA in preserving a piece of Downtown Orlando History, a Social Landmark, was a job well done by Blueworks and their crew.